Fang depressed about losing his Donut. 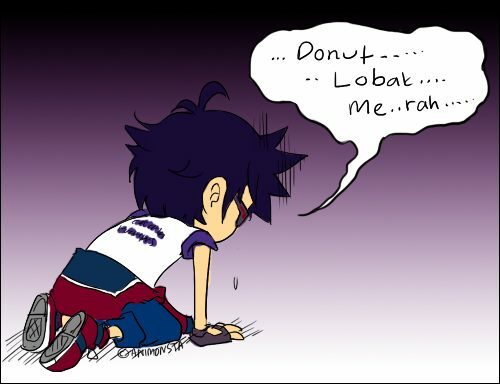 hahahaha........... Wallpaper and background images in the Boboiboy club tagged: boboiboy. This Boboiboy photo contains anime, komik, manga, kartun, and buku komik.